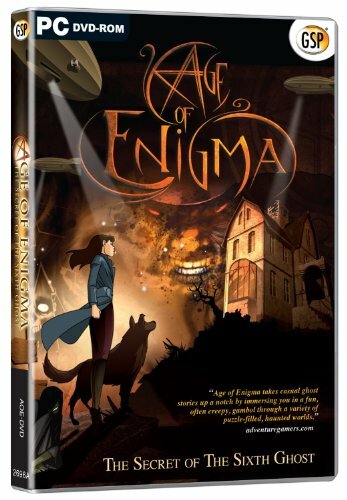 Age of Enigma is a Point & Click Adventure game that immerses players like never before. The story is set in an alternate universe in 1947, where paranormal activity has become commonplace, terrorising mankind and forcing governments to adopt aggressive methods of control. A group of mediums oppose this oppressive regime, and are attempting to discover the cause of these surreal events. One such medium, Ashley Reeves, has a vision of a child trapped in a house, so she and her faithful dog Isaac visit the Amityville New England home of the Wendell family, who have recently disappeared. What Ashley finds inside is not the little girl or the Wendells, however, but a number of ghosts still haunting the premises.